…the website I mean… not Cottage Country Pest Control, since we are always available to solve your pest problems – even when dirty nasty rotten hackers and incompetent tech ~support~ people (I use the term loosely!) mess up the website. In any case, I’ve copied things over …. arranged to have the kid redo all the category stuff, since I have 2 courses I’ve just finished teaching to write up stuff for, plus 3 courses that I’m going to be teaching starting next week to get sorted…. and a meeting to go to…and workshops …and…and… and …. ANYWAY… the website is all fixed, and that’s the main thing. Got a pest problem anywhere in Muskoka, Tiny, Tay, Simcoe, or… I know I’m missing some! …anyway … cottage country Ontario pretty much covers it, anyway…. give us a call at 705-534-7863 or email ccpestcontrol@gmail.com and Ross will be happy to solve it for you. I am very VERY unhappy!!! Got a warning that our site had been hacked! Have moved it to a new and more secure server and am now in the process of redoing all of our posts and pages – but that is likely to take me a bit. In the meantime, though, Ross is right here and would be happy to help you with any pest problems you may have – please do feel free to contact us by emailing ccpestcontrol@gmail.com, or calling 705-534-7863. 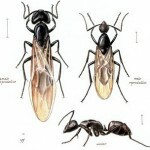 Seems like it’s getting just warm enough to wake up the carpenter ants here in cottage country. They are still pretty slow moving though …. and no reports of winged ants/swarms yet…. SO … it is a really good time to deal with the problem before it gets well established. Give us a call and we’ll be happy to help you nip the whole thing in the bud. This early in the season, sometimes 2 visits are required but hey, guess what? We don’t charge you any extra for that.